Content is often added to League of Legend’s public beta environment (PBE) well before it’s released, and those who received yesterday’s update got a present. 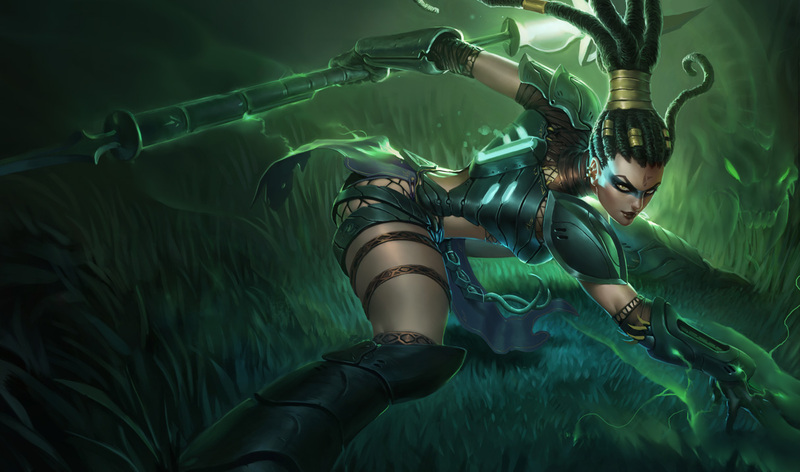 Included in the patch was three new skins: Gladiator Draven, Headhunter Nidalee, and Scorched Earth Renekton. Two of the three included their own splash art, meaning it’s highly likely that these skins are relatively close to done. Renekton’s skin on the other hand is far from complete and is lacking finalized sound effects and animations. Since all of this content is still in the PBE currently, there is no word on how much each of these skins will set you back, or even when they’ll release. Do you plan on picking any of these up when they release? I for one, am really fond of the new Headhunter skin.